Don’t Panic, Our Emergency Dentists in Santa Monica Will Take Care of You. 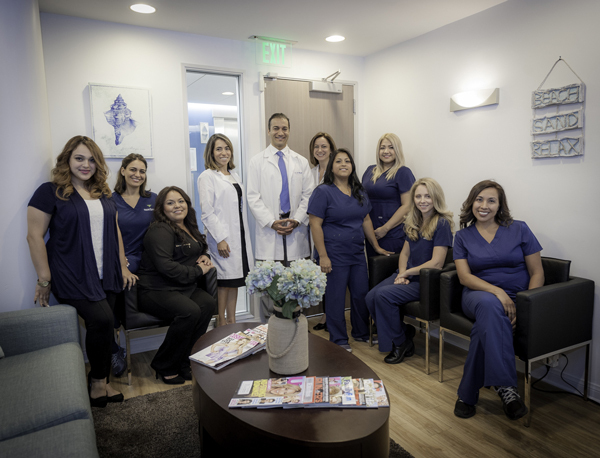 Our Santa Monica dentistry office offers family dentistry, cosmetic dentistry, as well as emergency dentistry. If you come in with an oral infection, a severe toothache, or a cracked or broken tooth, we will do everything we can to relieve your pain and fix the problem – the same day you come in! Furthermore, we make special arrangements to see emergencies on weekends, including Sundays. Are you experience pain or discomfort? Schedule an immediate visit in order to treat the pain. There is nothing worse in dentistry than being in tremendous pain from a toothache or having some other dental emergency and not being able to schedule an appointment with your dentist. Our doctors reserve openings in our schedule every business day so we have the time needed to help patients in pain. We do NOT charge for emergency exams or emergency x-rays! That’s right. We only charge if we provide a treatment to fix the problem. This way you can come in to at least find out what is wrong without paying a fee or worrying about finances. To make an emergency appointment, call our office at 310.458.8811 or simply fill out the form below and we will get back to you as soon as possible. After hours urgent emergency dentistry services in Santa Monica to locals and surrounding areas including West Los Angeles, Westside, Venice, Pacific Palisades, Brentwood, Mar Vista, Sawtelle, Culver City, & more.